Dr. Carrie Simmons has worked as a fishery biologist for the Gulf of Mexico Fishery Management Council since 2008. She was appointed Executive Director in June 2018 and Deputy Director in January 2013. She is involved with stock assessment meetings and works on drafting and reviewing amendments and fishery management plans for the Gulf Council. She is always looking for ways to improve the public involvement in the federal fishery management process. Simmons is a native Floridian who grew up fishing and SCUBA diving on both coasts and still does so as often as possible. During her education, she received her Ph.D. in Fisheries from Auburn University. While working on her degree, she studied gray triggerfish reproductive behavior, early life history, and early settlement to benthic structures as well as competitive interactions between red snapper and gray triggerfish in the Gulf of Mexico. Much of Simmons’ work was on artificial habitats in the northern Gulf of Mexico, but she studied natural habitats in St. Croix and the Florida Keys while pursuing her Master’s degree in coral ecology. She received her undergraduate degree from the University of North Carolina at Asheville and spent summers at the Mt. Desert Island Biological Laboratory in Maine studying the physiology of spiny dogfish sharks. John Froeschke has been a fisheries biologist-statistician at the Gulf of Mexico Fishery Management Council since joining the Council in 2009 and was appointed Deputy Director in 2018. He earned his Ph.D. from Texas A&M University – Corpus Christi where he worked on developing predictive models used to improve our understanding of environmental factors affecting fish distribution and abundance in the Gulf of Mexico. Prior to this, John completed an M.S. in biology at California State University, Northridge and worked as fish biologist at Occidental College in Los Angeles. John worked as a scientific diver for several years, and he remains active as a recreational scuba diver and angler. Beth Hager is a native Floridian. 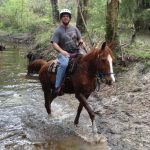 She grew up in Tampa fishing, horseback riding, and canoeing along the Hillsborough River. Beth attended Hillsborough Community College and the University of Florida with studies concentrated in accounting. She earned her bachelor’s degree at St. Petersburg College in the Management and Organizational Leadership program. Prior to joining the Council in 2008, Beth served as the Accounting Manager for United Cerebral Palsy of Tampa Bay. In this role she provided fiscal management and advice through Achieve Management for many area nonprofits, including Community Health Charities of Florida and Prevent Blindness Florida. Her dedication to public service is evident by her service on the Board of Directors for St. Francis Children’s Daycare and as a Cub Master of BSA Pack 189 and Committee Member for BSA Troop 188. She enjoys exploring the outdoors with her two boys, including snorkeling, kayaking, and recreational fishing. Emily attended the University of South Florida where she earned a bachelor’s degree in biology and a master’s degree in science education, with a focus on science learning that occurs outside the traditional classroom. She joined the Council in 2010. 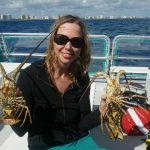 She is an avid inshore angler and offshore spearfisherman, targeting mostly groupers, hogfish, and lobster. She also enjoys scalloping and freediving for stone crabs. Ryan Rindone is originally from North Carolina, and attended North Carolina State University for undergraduate and graduate school. He joined the Council in 2011. An avid fisherman, Rindone enjoys pursuing inshore and offshore game via both hook and line and spearfishing. Mr. Rindone’s research interests include stock assessments, coastal and estuarine habitat assessment, marine fisheries biology and ecology, and marine benthic ecology. Lisa joined the Gulf of Mexico Fishery Management Council as a fishery biologist in 2019. She obtained her bachelors and Master’s degrees from Florida State University and her Ph.D. from the University of North Carolina Wilmington. Her graduate studies focused primarily on spatial ecology examinations of fish habitat use and migration dynamics using acoustic telemetry approaches. She also has working experience from her time at the NOAA NMFS Panama City Laboratory as a technician and assistant observer coordinator for their shark group. In her free time she enjoys kayaking, hiking with her dog, and fly fishing. Ava Lasseter earned her Ph.D. from the University of Florida. 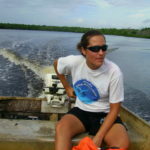 As a fisheries anthropologist, her research interests center on human-marine environment interactions. She has worked at the Council since 2010. She conducted her doctoral research with small-scale commercial fishermen on the Yucatan coast of Mexico, examining human adaptation to resource scarcity. 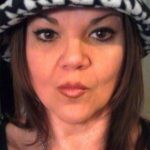 A native Floridian, she is an avid scuba diver and underwater photographer. Assane Diagne is an economist with the Gulf of Mexico Fishery Management Council. He joined the Council in 2005. Assane graduated from Louisiana State University where he received a Ph.D. in Applied & Agricultural Economics. Matthew Freeman has been an economist with the Gulf of Mexico Fishery Management Council since 2016. He received his B.S.E.S. in Environmental Economics & Management from the University of Georgia and his Ph.D. in Environmental & Natural Resource Economics from the University of Rhode Island. Prior to joining the Council, he held extension and research appointments with Louisiana State University and Mississippi State University, where he worked with fishing communities and on fishery economic projects. A native of coastal South Carolina, he enjoys kayaking and fishing. Basher grew up in Bangladesh, after completing his bachelors he moved to Thailand for his Master’s degree and then moved into an environmental consulting position in Malta for a few years. 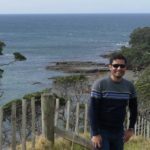 Afterward, he moved to the University of Auckland in New Zealand for his Ph.D. where he worked with Antarctic biogeography. Before joining the Council in 2018, he worked with USGS and Michigan State University. Basher is an avid explorer, he enjoys discovering new places and cultures locally and around the globe. His favorite outdoor activities include hiking, snorkeling, and cycling. Bernie grew up in New Jersey and Virginia where she spent most summers fishing and crabbing on the family boat. As an adult, she followed her parents’ lead and moved to Florida to be close to family. Before joining the Gulf of Mexico Fishery Management Council team in 2015, Bernie worked as an Office Manager/HR Coordinator for a behavioral health and wellness company for close to two decades. She enjoys spending time with family and friends, cruising, gardening, Jazzercise, and Tampa parade going. Kathy Pereira is the Meeting Planner / Travel Coordinator for the GMFMC. 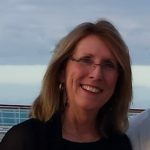 Prior to joining our team in February 2011, Kathy’s career spanned over 25 years in Hospitality Sales and Marketing with Hyatt and Marriott Hotels. After which, she started working as an independent meeting planner for a variety of corporations, associations and government agencies; assisting them with outsourcing, hotel negotiations, budgeting and travel arrangements. Kathy became a Certified Meeting Professional in 2002. As a second generation Italian-American native of Tampa, Kathy grew up on the waters of Tampa Bay fishing and crabbing with her dad, brother, uncles and cousins. Given the important and sometimes very stressful task of being daddy’s bait girl, Kathy would set out to catch smaller fish with her pretty, but fashionable pink fishing rod so daddy could catch the big ones! (Mama stayed home preparing for Sunday’s feast of Crab and Chilau; blue crabs and spaghetti). Charlotte Schiaffo grew up in Georgia. She earned a Bachelor’s Degree from Eckerd College in St. Petersburg and a Master’s in Library Science from the University of South Florida. She joined the Council in 2005. As the office librarian, Charlotte does research for technical staff on various fishery subjects. 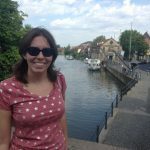 Charlotte volunteers for the Hillsborough Literacy Council and enjoys being on the water, as well as other outdoor activities. Karen is a native Floridian who grew up on the water in Pompano Beach and attended Northwood University. She has witnessed the explosive real estate boom in Florida first-hand and strongly supports environmentally sound growth management. Leaving the east coast as a commercial property administrator, she transitioned into fisheries management with the Gulf Council in 2005. Her favorite outdoor activities include cruising, snorkeling, kayaking, scalloping, hiking, and camping. Camilla Shireman received her Bachelor’s Degree from Indiana University. She joined the Council in 2016 and has previously served in an administrative capacity at Indiana University Purdue University Indianapolis. She has also been active in numerous community organizations, including United Way Boy’s and Girl’s Clubs and local historical societies. As a Florida transplant, she enjoys participating in the recreational marine opportunities the area offers. When on dry land, you may find her gardening, hiking, and enjoying time with family and friends. Jessica grew up in New Hampshire and moved to Florida to attend Saint Leo University where she earned her bachelor’s degree in elementary education. She recently entered into the world of fisheries management, joining the Council in 2016. She has always had an interest in science, particularly conservation and has appreciated seeing conservation in action since joining the Gulf Council. She enjoys spending time boating, reading, and traveling.